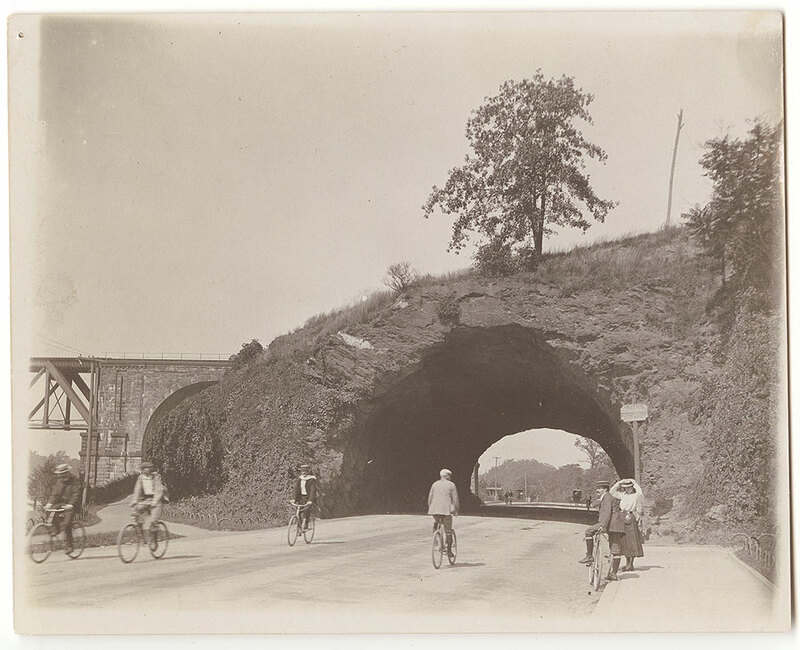 This photograph shows bicyclists and horse-drawn carriages, riding along the then-East River Drive (today, Kelly Drive). The Promontory Rock Tunnel was bored in 1871, after the construction of the New York Connecting Railway Bridge of the Pennsylvania Railroad, in the late 1860s. The date of this image is unknown, but the last decades of the 1800s would be the time period (before automobiles were admitted there). The sign to the right of the tunnel reads: "Notice: When bell rings, a train is coming over bridge"